One of the most controversial issues that’s all the rage these days is transgenderism. It’s truly amazing how fast the Left pivoted from gay marriage to pushing “transgender rights” once the Supreme Court ruled in favor of the former practice. 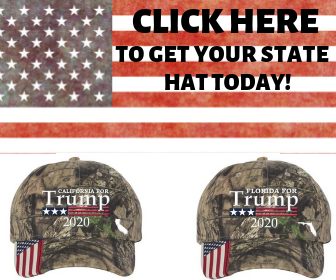 The goalposts have been moved quite a ways in the last few years, as we’re now seen an incredible push by left-wing media, politicians, and Hollywood to force folks to accept the issue as normal–or else. Highlighting how far society’s been pushed to the Left is a recurring incident in Texas involving a “transitioning” student-athlete. As reported at the New York Post, a transgender athlete in Texas has won the girls’ Class 6A 110-pound division for the second year straight. Mack Beggs, an 18-year-old senior from Euless Trinity High School near Dallas, has an undefeated record, and she entered the finals to face the same opponent she defeated last year, Chelsea Sanchez. A cursory glance at a picture of Beggs and you’ll see why videos posted of her victory was met with a mix of boos and cheers. She’s effectively being allowed to cheat/take performance-enhancing drugs without consequence, as she’s currently transitioning and taking doses of testosterone. Her physique says it all. The steroid treatment she’s been undergoing while still competing has stoked a lot of debate about competitive fairness and transgender rights over the last year. 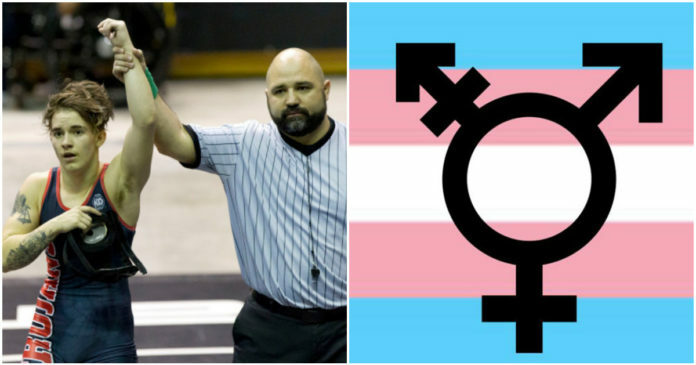 Apparently, Beggs had sought to wrestle in the boy’s division, but the rules in Texas require athletes to compete under the gender on their birth certificate. Beggs’ family has repeatedly said he wants to wrestle boys, which if she’s wanting to be considered a boy, then let her go for it. She’d soon realize that she stands no chance competing with them, regardless of the drugs. This whole ordeal is insane anyway. It’d be a lose/lose if a guy had to wrestle her, and for the girls, it really isn’t fair considering the drugs she’s on. Maybe a separate division for special snowflakes and make-believe identities should be created to remedy this whole situation. I mean, having just men and women’s divisions is so antiquated.